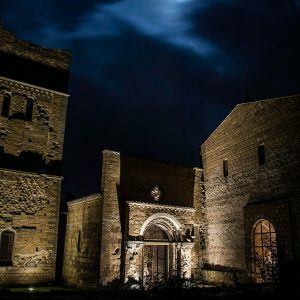 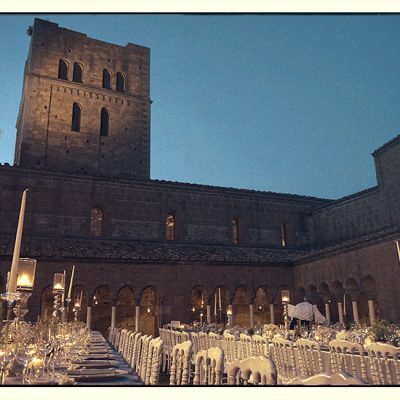 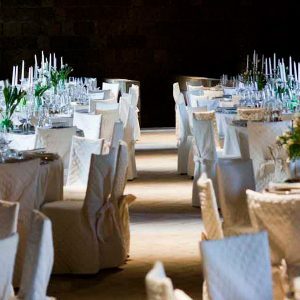 With its thousand-year history, the Abbey of San Giusto is the perfect setting for events and ceremonies that will leave a lasting impression. 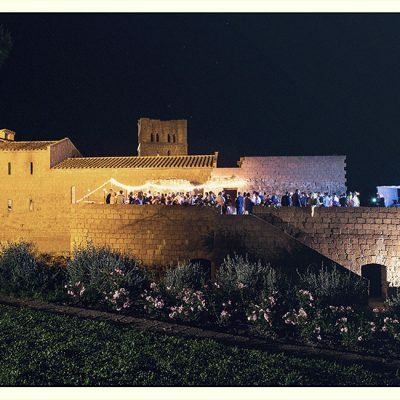 The beautiful valley of the river Marta surrounds the medieval monastery, in a place where art and nature live together in perfect harmony. 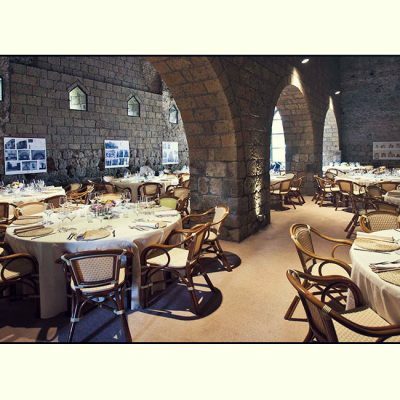 The venerable rooms of the abbey, including the Chapter Room, the Scriptorium, the Cellarium, the secret garden, the monks’ dormitory, the tower, and the panoramic terrace, are ideal for welcoming guests in every season, while the medieval church can host a truly unforgettable ceremony. 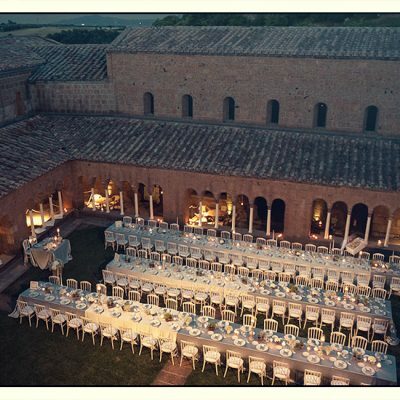 The unity and scale of the surroundings are rivalled by the functionality and versatility of the spaces, which can host both intimate gatherings and groups of up to 300 guests. 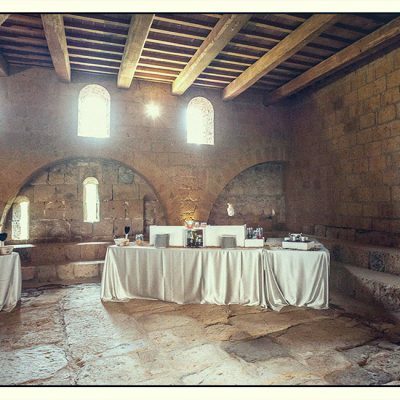 The atmosphere, the lighting, the attention to detail, all is carried out with maximum respect for the history of the site, and the event spaces have all been restored to their medieval purity while accommodating modern comforts: the rooms have heating/air conditioning and the room where the monks once prepared their meals is now equipped with a brand-new professional kitchen. 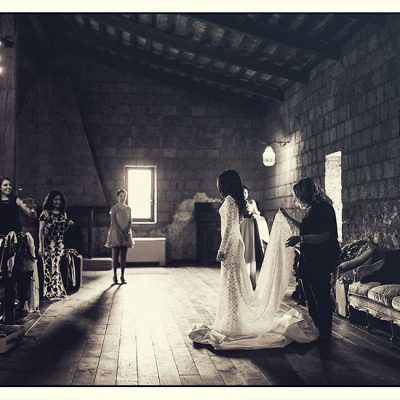 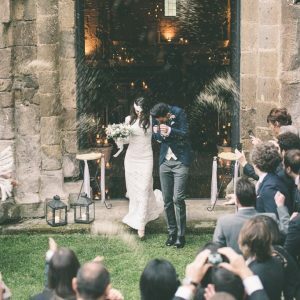 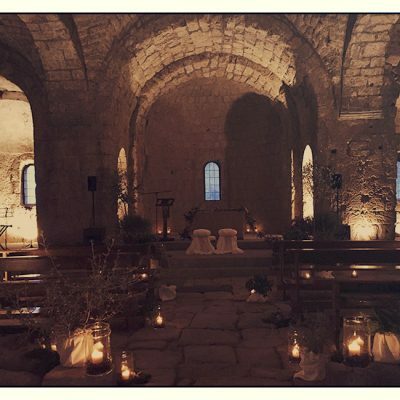 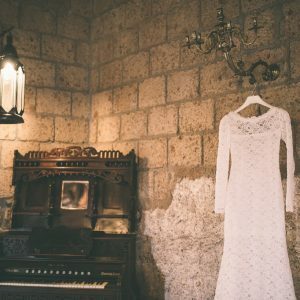 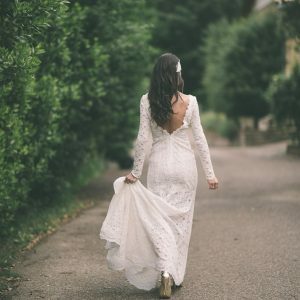 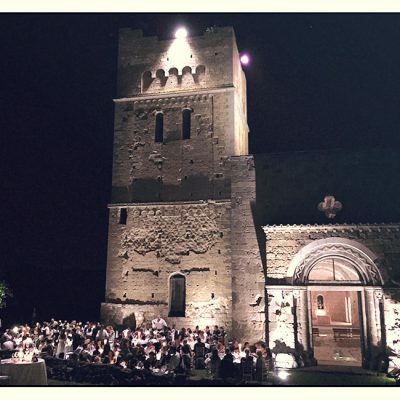 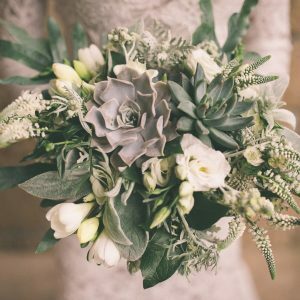 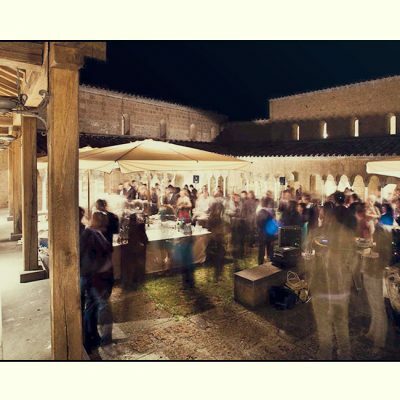 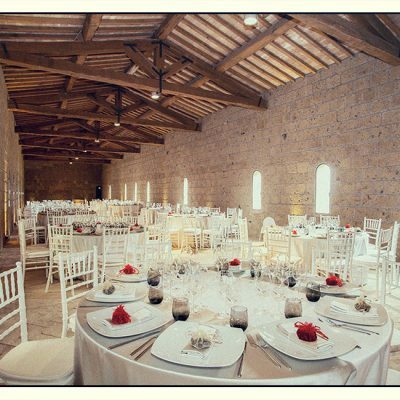 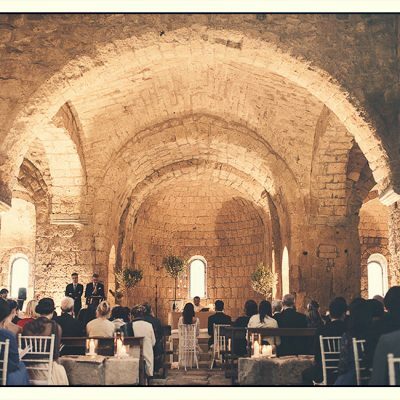 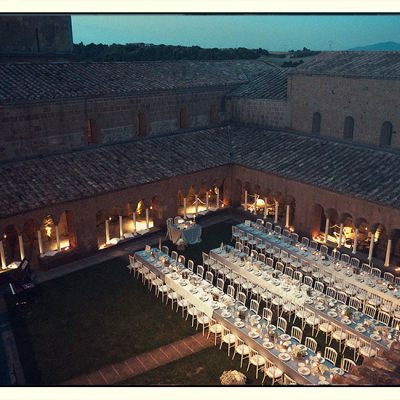 To hold a ceremony in a place that has been considered sacred for thousands of years, amidst the austere beauty of the Cistercian church, is much desired by those who choose to celebrate their marriages at San Giusto. 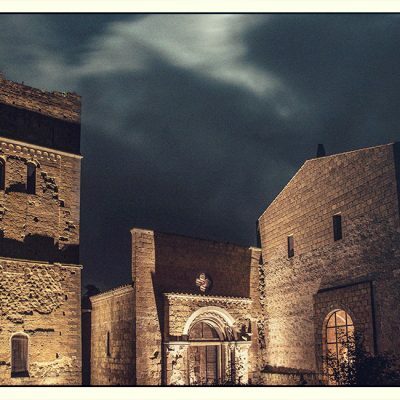 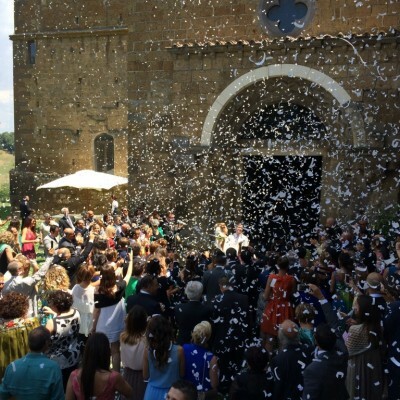 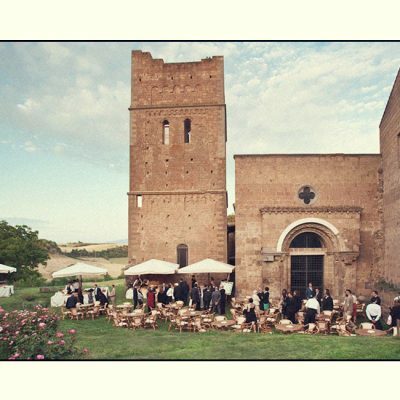 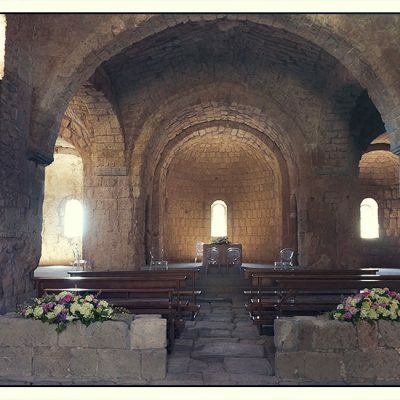 Starting in 2015, civil ceremonies in the comune of Tuscania may be held at San Giusto. 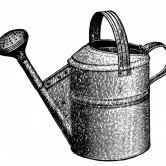 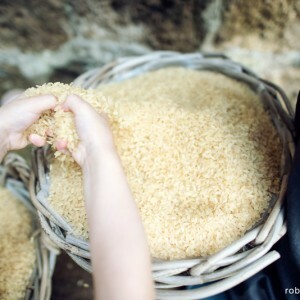 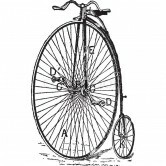 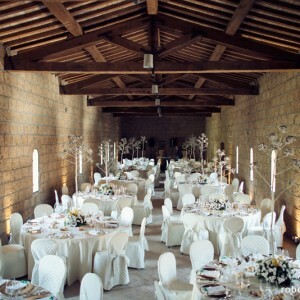 Couples enjoy considerable freedom in planning their receptions. 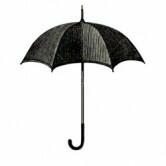 They are welcome to select their own catering services; to hold dinners in the monks’ dormitory, the cloister, or the cellarium; to set up food and beverage stations, rooms, and spaces as they wish; and to dance on the terrace or in the refectory. 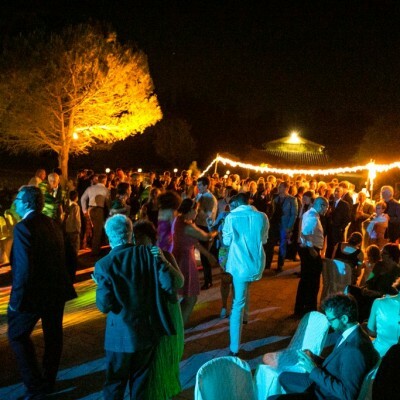 The only requirement is to have a wonderful time! 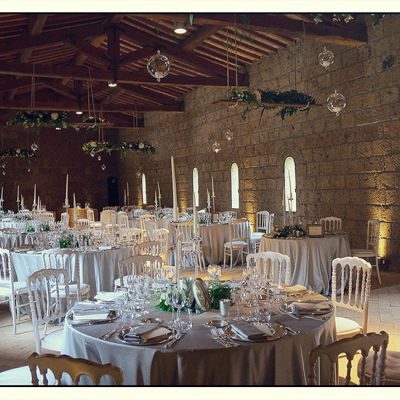 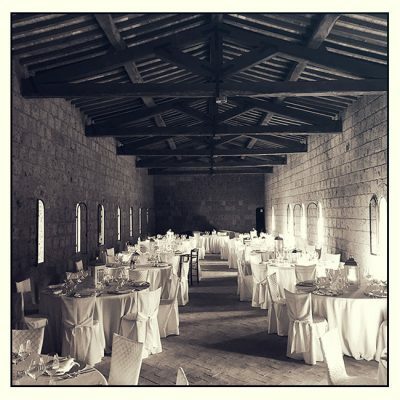 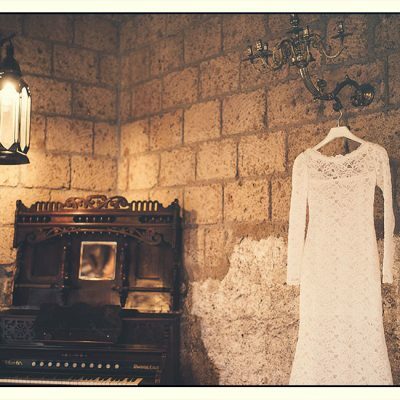 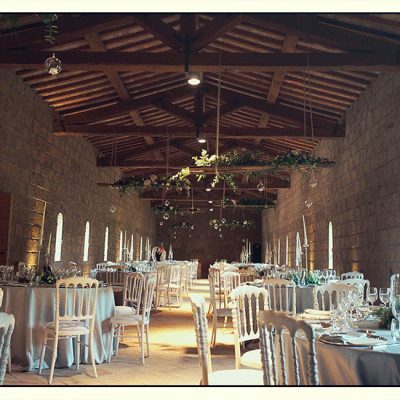 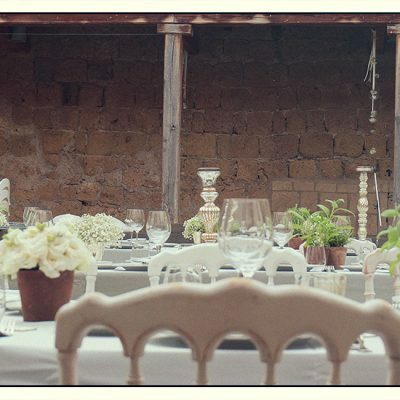 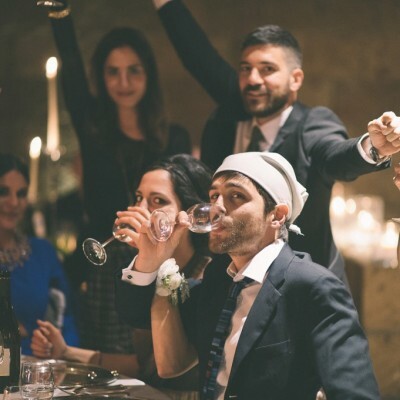 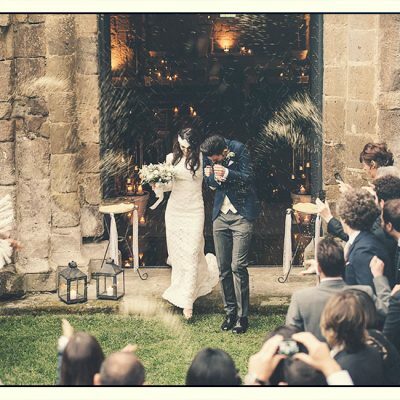 At San Giusto, we host weddings throughout the entire year. 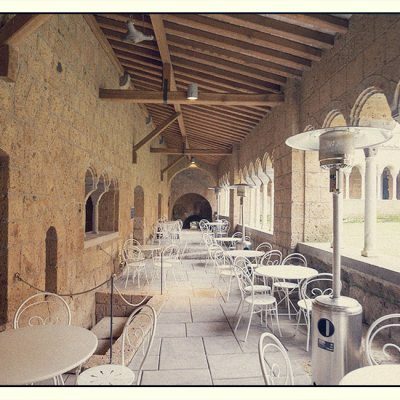 The many rooms, all connected to one another via the cloister, and the availability of heating/air-conditioning, allow the abbey to be used in any weather conditions, 365 days a year. 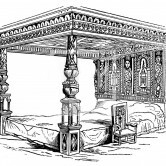 The splendid and spacious nuptial apartment, in what was once the lay brothers’ dormitory, is the most popular place for couples to spend their first night together after the wedding. 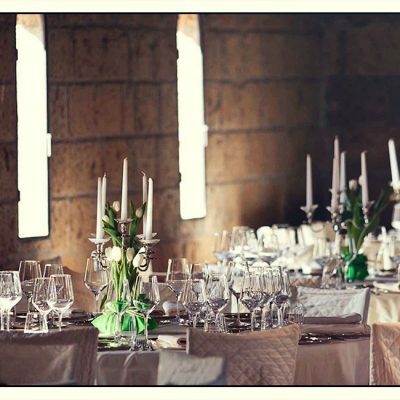 The next morning, why not gather with the friends and family who have stayed in the abbey’s other accommodations over brunch, to begin reliving the memories of the previous day? 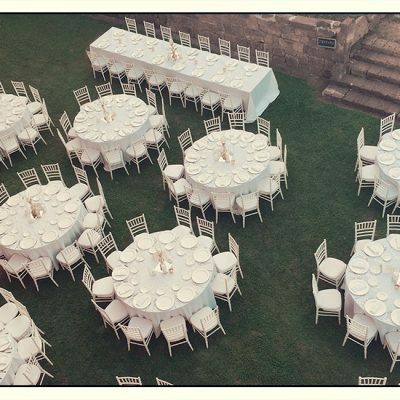 Shuttle service, parking, babysitting, event staff, DJ, photographers, florists, and anything else you have in mind… just ask! 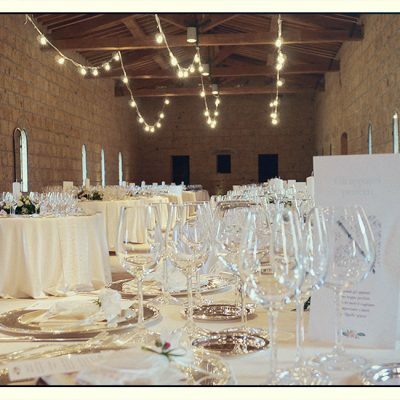 Our own experience and our contacts among the top event professionals in Lazio can help you choose the best of everything!